We are now over 30 years old, so our experience is very solid from both sides of the commissioning desk. 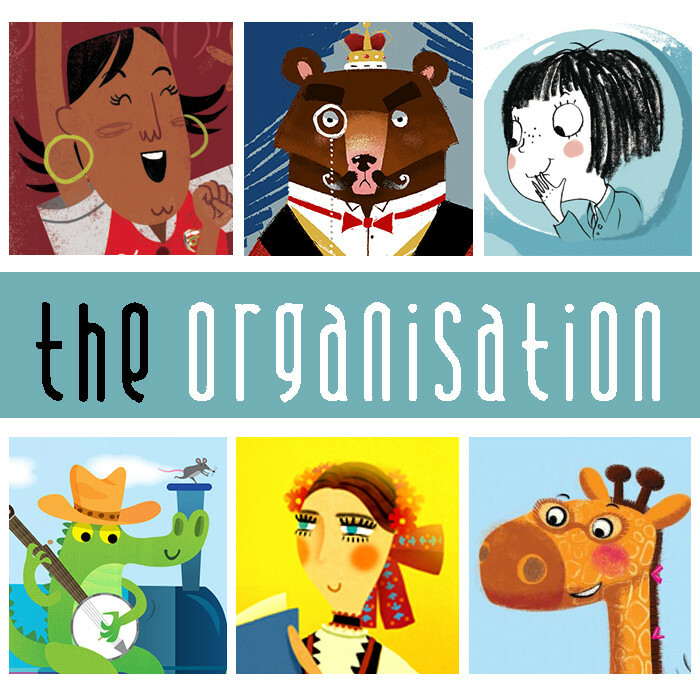 The managing director, Lorraine Owen, worked as an art director in Publishing for 10 years prior, which is where she fell passionately in love with illustration. Richard Merritt is our most senior rep and is a very successful illustrator in his own right. Jane Geloso is our social media expert who finds every opportunity to promote artists. Stephanie Vickery looks after all things financial. Sam the Cat who guards the office. We work from a wing of Buckingham Palace so lots of gold and servants. Collected by horse drawn carriage to arrive at palatial offices. Open the macs, turn on 6 music and eyes down for a hectic day fielding enquiries and planning promotions. Keep an eye on emails into the evening from our many US clients. Never repping artists whose work resembles another artist on our team - look-a-likes not considered! Ability to have a recall of ALL the images in an artists portfolio, the ability to act swiftly to solve problems if they arise. To feedback to artists comments from client meetings in a constructive way. To nurture the talent of an artist, to help them improve and update their portfolios in order to make it appealing to clients. The internet has killed off most print advertising and print portfolios for illustrators, replacing it with digital portfolios that are available for view at any time on our website and other portals. Organising a show for Alison Jay in Japan at the request of the world renowned Studio Ghibli. A hand painted mural covering the walls of the Childrens clothing dept at Liberty of London. Doing work that covered a huge range of products for both Harrods and Marks and Spencer's Christmas range in the same year. Any First Job for an artist who has recently joined our team. Having access to a wealth of clients in varying areas of the business that an illustrator might not have even considered previously. Supplying sample ideas to fill gaps in portfolios based on client needs, marketing and passing on group reductions for internet advertising, handling contracts and pushing for changes in the contracts to benefit the illustrator, money chasing of all invoices to ensure prompt payment, promotion via all social media channels (all the boring stuff so an illustrator can concentrate on doing what they do best - illustrating!). Try and get into the illustration course at Falmouth - best in the UK. Try to make yourself aware of current trends and the kind of work that is visible in the market you wish to target. It’s wonderful to experiment and have a strong individual voice, but this needs to be coupled with a knowledge of what is commercially viable. What you did at uni and what a publisher is looking for may be two completely different things, so don’t be afraid of change. In a hugely competitive industry, with an increasingly fast paced turnover of projects, preserving the rights of artists, and ensuring there isn’t a ‘race to the bottom’ is a key consideration.